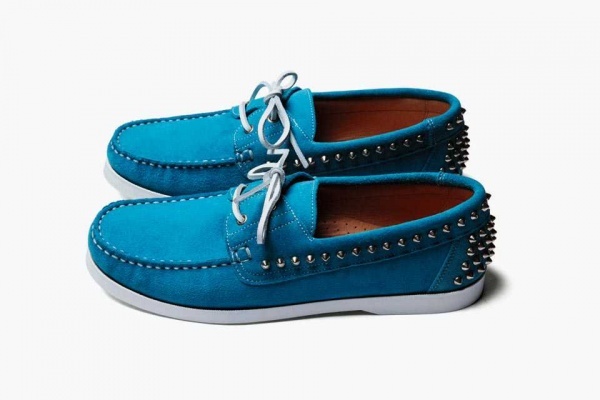 We really feel that every guy will wear studded shoes again once they cop a pair of the SOPHNET. Spring/Summer 2014 Studded Deck Shoes. It’s time to differentiate yourself from the crowd by investing in these cool studded deck footwear. SOPHNET. has been churning out shoe designs that have changed our way of looking at shoes for good. What makes these studded shoes a step up from the rest of the studded footwear in the market today is that SOPHNET. was able to infused the modern style of pointy punk rock to upgrade the look of a classic shoe silhouette. The SOPHNET. Spring/Summer 2014 Studded Deck Shoes is already available at select outlets, so you have no reason not to wear them in these upcoming warm months.